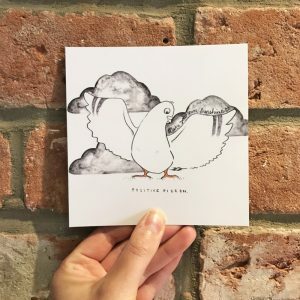 Positive Pigeon Postcards – You are the best thing! It is his debut, there is more to come. But for now enjoy his positive vibes in postcard form. 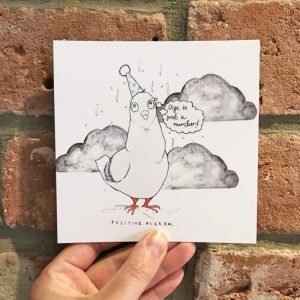 Treat your friends or loved ones or anyone that needs an uplifting note in their life. 350–400 gsm paper stock with a silky, soft touch finish. With a finish on the front only, the back has been left blank for your own personal message. Square brown recycled kraft paper envelope also included. 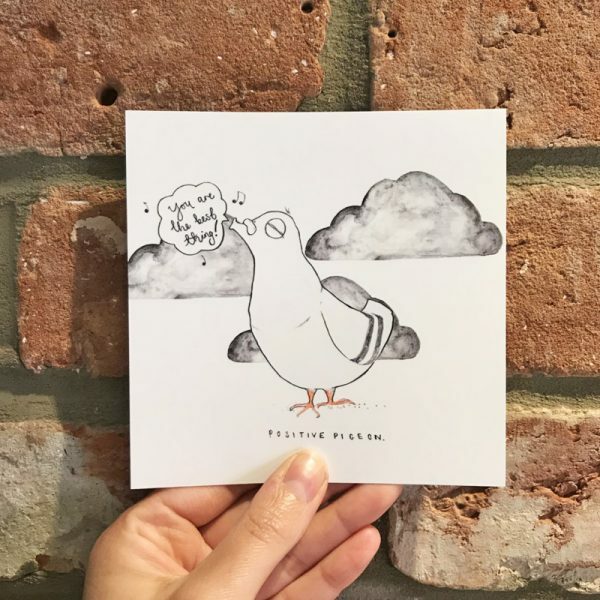 Positive Pigeon Postcards – Be a warrior not a worrier! 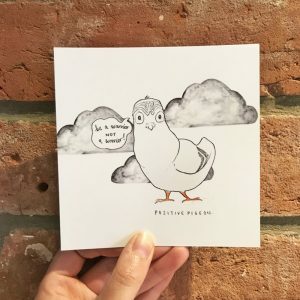 Positive Pigeon Postcards – Age is just a number!